The challenge: to create a resilient, accessible financial system that people trust. Savings, investments and other financial products are essential for long-term economic growth and development. Whether running a household or a corporation, people need access to reliable, affordable financial services and these are what the global financial system should provide. The global financial crisis shook both the financial system and the public’s confidence in it. In its wake, there has been closer scrutiny of the financial system and debate over the role regulation has to play and how extensive it should be. It is a debate that will help shape the future of the financial system along with other significant challenges such as enabling more inclusive growth and the effect technology is having on the way financial services can be delivered and used. What impact has the financial crisis had? As well as restoring public trust and improving resilience, there is an urgent need to allow more people to access the financial system. Amid increasing concerns about rising income inequality and its negative economic and social impact, there is no bigger policy challenge preoccupying political leaders than expanding social participation in the process and benefits of economic growth. 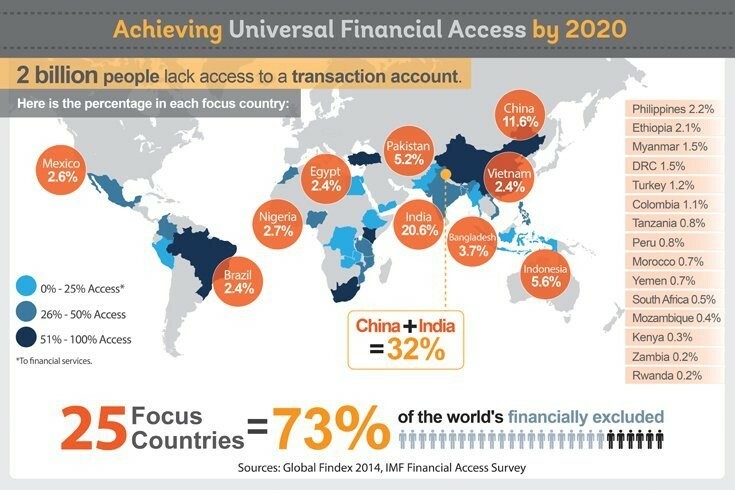 Providing access to credit and savings is a major challenge in the battle against global poverty—yet two billion people do not have access to high-quality, affordable financial services. Additionally, there are 200 million small and medium-sized enterprises worldwide that have no access to formal financial services. 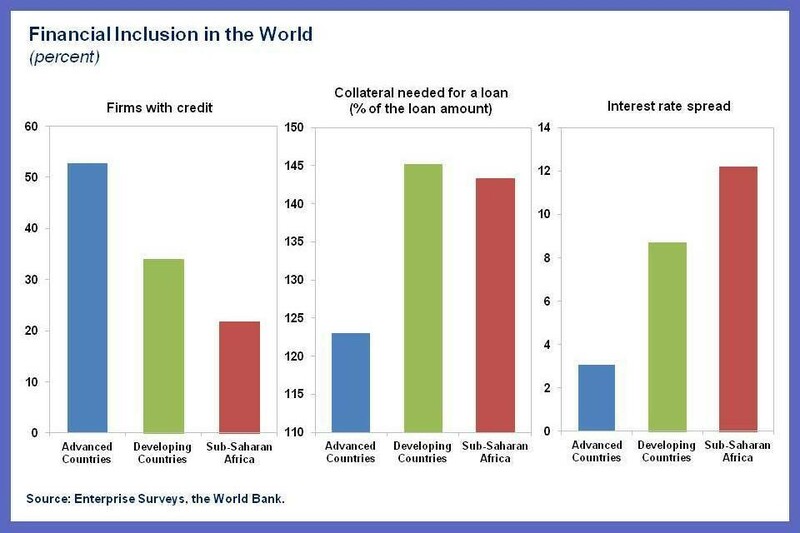 While there is demand for financial services at all levels of income, many at the lower end of the income bracket are not able to access formal services and instead have to turn to riskier methods which are also more expensive. The gap is also being filled with companies who use technology to decrease cost and measure risk in new and innovative ways. These companies have created an entire new industry, often referred to as “fintech” (a contraction of “finance” and “technology”), defined as the use of technology and innovative business models in financial services. What are the challenges of new technology? Through their ability to adapt to the ever-changing financial environment, these new agile, tech-led companies are disrupting the financial services industry and making headway in providing alternative financing opportunities for small and medium sized enterprises. 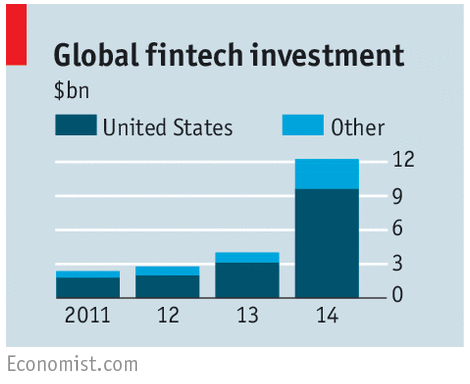 From 2013 to 2014, equity investment in fintech companies quadrupled from $4 billion to more than $12 billion, fuelling innovation in the sector. New players are redefining the way services are delivered and used, putting pressure on more established firms. Big companies that once relied on regulation and the size of their investment portfolios as a source of competitive advantage are realizing that these factors can actually hold them back in the current digital context. Traditional banks will continue to play a large part in the financial services industry but fintech companies, with their ability to adapt quickly and use technology to lower costs and provide novel credit-analysis systems, are bringing rapid change. The Forum is providing a platform for dialogue among top policy-makers, business executives and experts to build a common ground and test ideas and solutions on these major issues facing the financial system. In 2016 the Forum will publish two global studies on financial inclusion in collaboration with the International Finance Corporation. In addition, the Forum is partnering with ministries of finance in various countries to accelerate financial inclusion as part of their national development strategies. Current country-level projects include Colombia, India, Indonesia and Mexico. The Forum is working to establish a set of technology-related recommendations on the financial system that are applicable to both the public and private sectors, and has been working closely with the Financial Stability Board and Bank of England. Click here to find out more about the Forum's Global Challenge on the Future of the Global Financial System.